Rev. 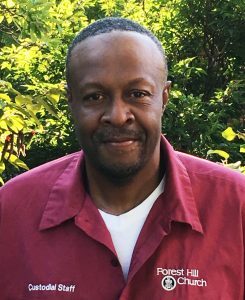 Goines joined Forest Hill as our Co-Pastor at the end of 2018, after an extensive national search , and shares equally in leading Forest Hill Church further along the path of restorative justice. The co-pastor model reflects the church’s mission and vision as a church where all of God’s children are heard, seen, exalted and equal. Veronica previously led the historic multicultural St. Andrews Presbyterian Church of Marin City, California. 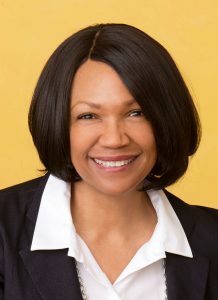 She earned her Ph.D. in Interdisciplinary Studies at the Graduate Theological Union in Berkeley in 2017, after earning both her Master of Divinity Degree and a diploma in Pastoral Counseling from San Francisco Theological Seminary. 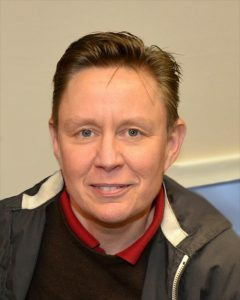 She is certified in basic and advanced Clinical Pastoral Education at the Federal Bureau of Prisons in Dublin, and at Stanford University Hospital. In addition to her pastoral and chaplaincy experience, Veronica has also served in the local, regional, and national bodies of the Presbyterian Church, USA. She served as an Affiliate Faculty of San Francisco Theological Seminary, and preaches, teaches, and keynotes at local, regional, and national levels of the Presbyterian Church, and more. A published writer, poet, and avid outdoors-woman, Veronica is thrilled to be in partnership with John, the Forest Hill Church congregation, and the greater community. Although Rev. Lentz joined Forest Hill Church as Senior Pastor in 1994, he gladly welcomed the opportunity to become one of our new Co-Pastors upon the arrival of Co-Pastor Veronica Goines. 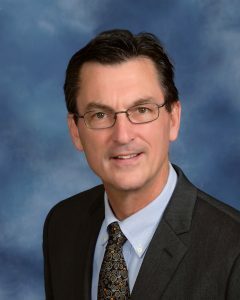 Originally from Winchester, Virginia, John and his wife Deanne reside in Cleveland Heights and raised their 3 children in the CH-UH public schools. A graduate of Kenyon College, Yale University, and Edinburgh University, John enjoys and encourages discussion and participation in activities that impact the community. He may be found on the stage of Cleveland Heights High School competing in a spelling bee for Reaching Heights, announcing for local sports teams, or helping to organize forums on the public schools. Whether preaching, baptizing an infant, officiating at a wedding, cheering on the FHC softball team, or supporting various Cleveland Heights and regional activities, he is spirited and enthusiastic, and his message both personalized and upbeat. Anne has been Director of Music at Forest Hill since 1993 and Organist since 1989. Equally at home with the children’s choir, the youth choir, the adult choir and the bell choir, she directs each with energy and enthusiasm. 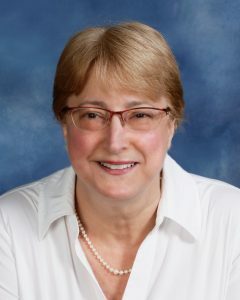 Anne earned her Bachelor and Master of Music degrees (Organ Performance) from the University of Cincinnati College-Conservatory of Music, and holds the American Guild of Organists’ highest honors: the Fellowship and Choirmaster certificates. She has composed many pieces of music and has been featured on WCLV’s Not the Dead, White, Male Composers Hour, as well as National Public Radio’s “Pipedreams” program. Active in the greater Cleveland musical community, Anne is rehearsal pianist for Apollo’s Fire and founder of the Greater Cleveland Classical Guitar Society. She also accompanies the Cleveland Hts. High School Vocal Music groups and mentors many young musicians. Anne has taken 1st or 2nd prizes in 7 national and international organ competitions and is a nationally-known recitalist and workshop leader. Recital venues include Washington’s National Cathedral, New York’s St. Patrick’s Cathedral, California’s Crystal Cathedral, and Cleveland’s Severance Hall. Anne raised 2 daughters and has resided in Cleveland Heights for over 20 years. More info is available on her website. David Wigger is an ordained pastor and hospital chaplain passionate about ensuring that our children and youth are surrounded by adults they can know and trust as they grow through the church. He has worked with children struggling with behavioral and emotional issues and taught students representing over 50 countries at a public elementary school in Wash. DC. He also spent a year as a Young Adult Volunteer living and teaching in the outskirts of Kisumu, Kenya. 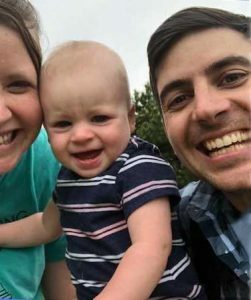 David is married to Forest Hill Church member Amy Wadsworth and father to 1-year-old Elly Wadsworth Wigger. Originally from Louisville, Kentucky, he enjoys listening to podcasts, bluegrass, and hip-hop and loves both Harry Potter and Beyoncé. David considers basketball and washing dishes to be spiritual disciplines. 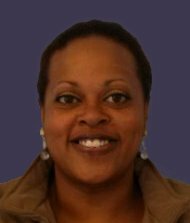 Antoinette is excited to join our staff just as we begin our new Co-Pastor leadership team. She is well-versed in the latest office computer programs and applications and is working hard to learn her way around the church. As the person who kept track of everything and everyone at Forest Hill for over 20 years, Lynda Bernays is approaching her official retirement while helping our new Office Administrator Antoinette get settled. She hopes to maintain the loving ties she created with so many in the congregation while remaining a member of Christ Episcopal Church in Shaker Heights and carving out much more time for her current and upcoming grandchildren. 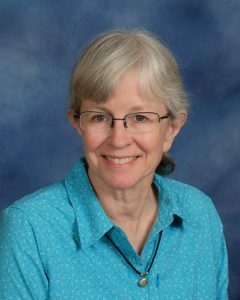 Ann Donkin joined us in 2017 and quickly became an integral part of our ministry. 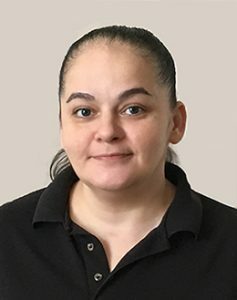 With expertise and experience in all facets of building management, Ann’s goal is to make our building work for our members and the community, while supporting our mission and ensuring the building reflects our goals of being a welcoming, learning, worshiping, witnessing and discerning community. She is a hoot and a half and can occasionally be found in her office on the 2nd floor education wing, next door to Leonor’s Sanctuary apartment. Our newest staff member, Financial Administrator Delilah Dervic, was born and raised in Cleveland. She graduated from Aviation High School and the University of Phoenix and has a BS in Business. She has a son, Ameer, who is 11 years old. Delilah speaks Arabic fluently! She is learning the rhythms of the church office and will soon be familiar with all things financial. Delilah may be reached by calling the church office (216-321-2660) or emailing her at finance@fhcpresb.org. Please stop by her office (next to Lynda Bernays’) and wish her a warm welcome. Originally our very part-time webmaster, Peg Weissbrod’s role also includes advertising and other publicity pieces. She works with all ministries to publicize their events and sees the entire building as an opportunity to welcome and include all to Forest Hill Church. 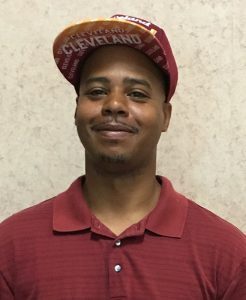 Anthony Bland is one of our primary evening custodians. 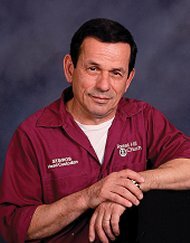 As the person in charge of the building during most ministry meetings, Anthony is even-tempered yet eager to help, as well as extremely knowledgeable about the workings of our building. 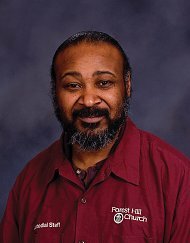 Rod Gordon is our newest staff member and has made himself instantly at home, becoming an indispensable addition to the custodian team.